Part-time residents of Seal Rocks for many years. DeHavilland Tradewind has given the Taylor’s 45 years of faithful service, easily outlasting several outboard motors. Taylor’s invited to be interviewed by ABC’s Paul Lockyer, speaking on environmental issues. 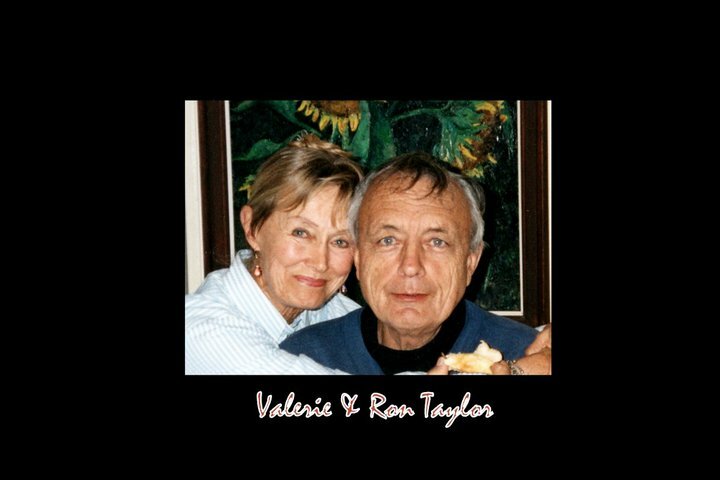 Valerie Taylor was a successful stage actress before meeting and marrying Ron. 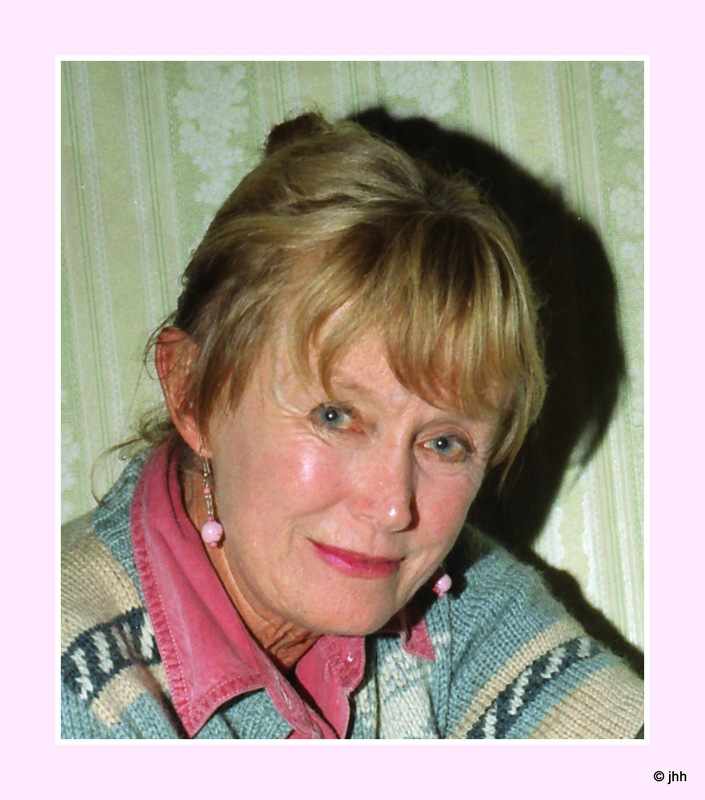 This quality studio picture taken for a book about successful Australian women in the mid 1960s. 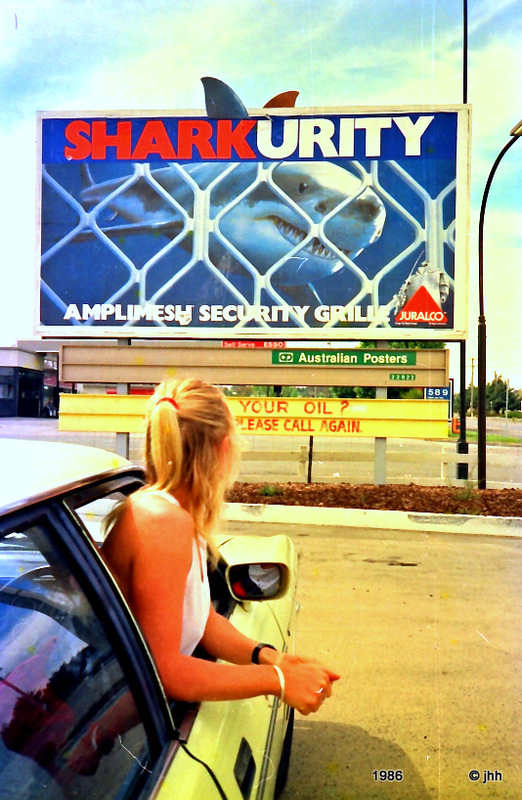 Green sawfish found tangled in fisherman Keith Knox’s fishtrap line (Minnewater NSW) not speared. Seal Rocks beach in background. Ron Taylor holds small mulloway speared for their dinner. 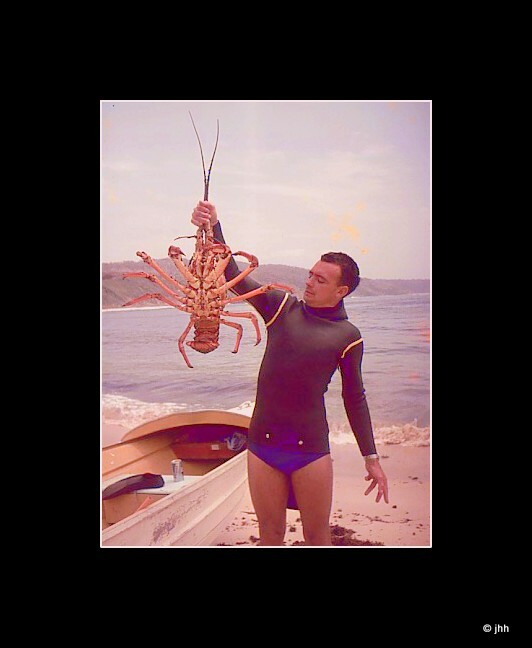 Ron Taylor collected many spearfishing trophies culminating in The World Championships (Tahiti 1965). Two years later he shunned competitions due to the waste involved. Four times Australian champion (in an era when over one hundred participated). 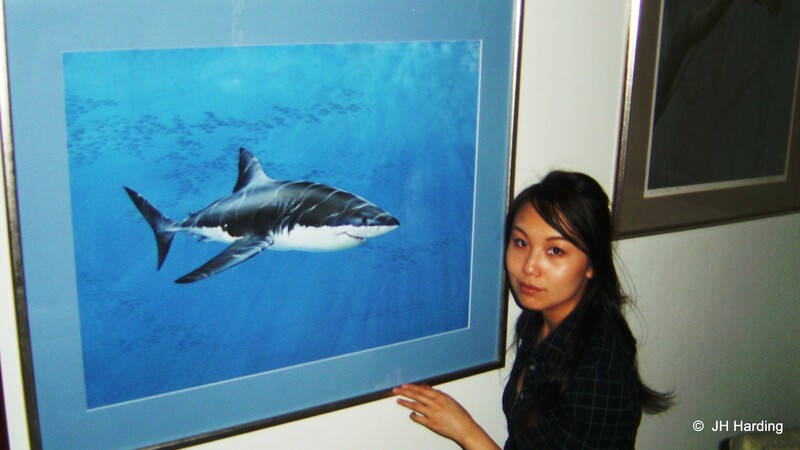 Watercolour painting of great white shark by Valerie Taylor was being admired by visiting student Jan.
she had designed and hand-crafted. Later in the evening she took me into her sprawling, lush green back yard where she demonstrated the daily ritual of feeding two cute possums who would come down from the trees to greet her, anxiously waiting for a good feed. It was such a wonderful experience and I remember thinking at the time how much my children would have enjoyed seeing this too. Her love of animals and nature was obvious. Valerie had also been so sweet and booked a table for my mutual friend and I at a local restaurant where we all had a lovely meal and fantastic conversation, exchanging our views. 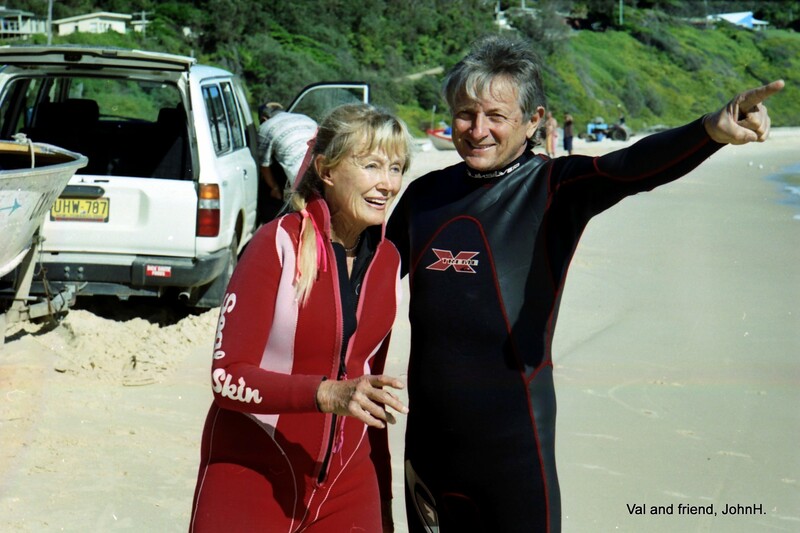 In summary, Ron and Valerie Taylor are Australian icons who will be remembered and respected by many locally and from all over the world, for sharing their extensive knowledge and adventures on sharks and ocean life. 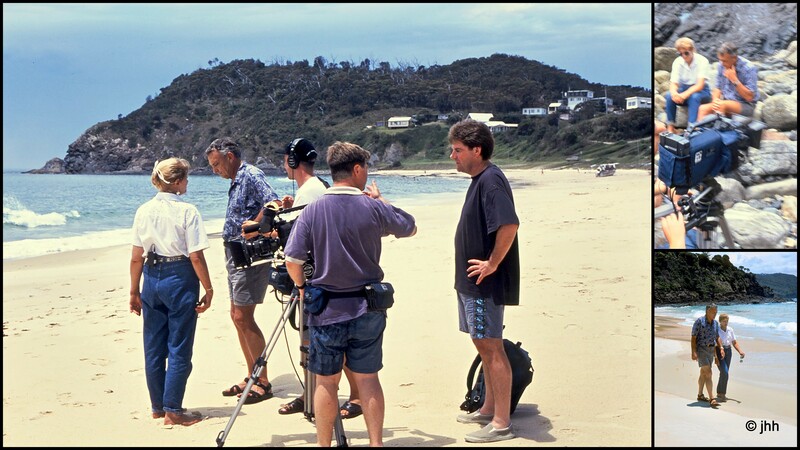 The many films and documentaries they produced have been enjoyed globally, and we as Australians are proud of this wonderful duo. 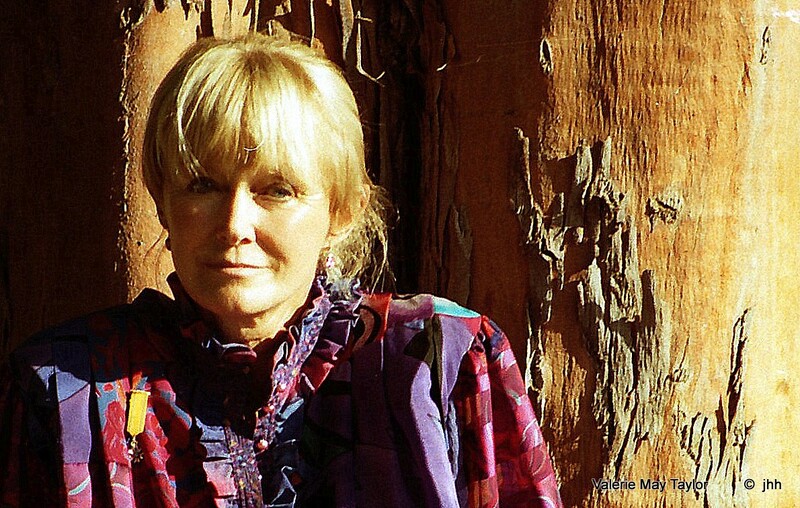 Ms Cinzia A. Fedeli Secretary/Writer/Director Cosmopolitan Secretarial Services, Sydney. Citation: For service to conservation and the environment through marine cinematography and photography, by raising awareness of endangered and potentially extinct marine species, and by contributing to the declaration of species and habitat protection. 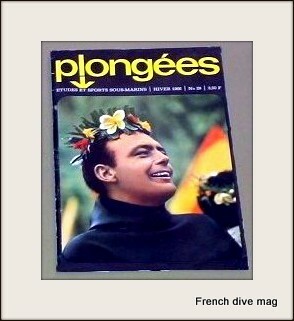 Opinion: Surf wet suits were or still are better made than suits for divers. 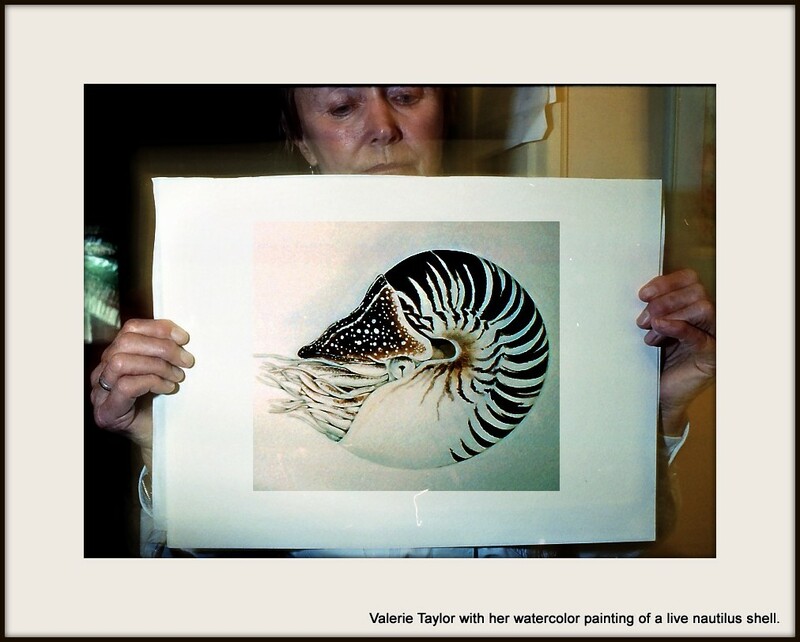 Valerie Taylor version without underwater shark scene. 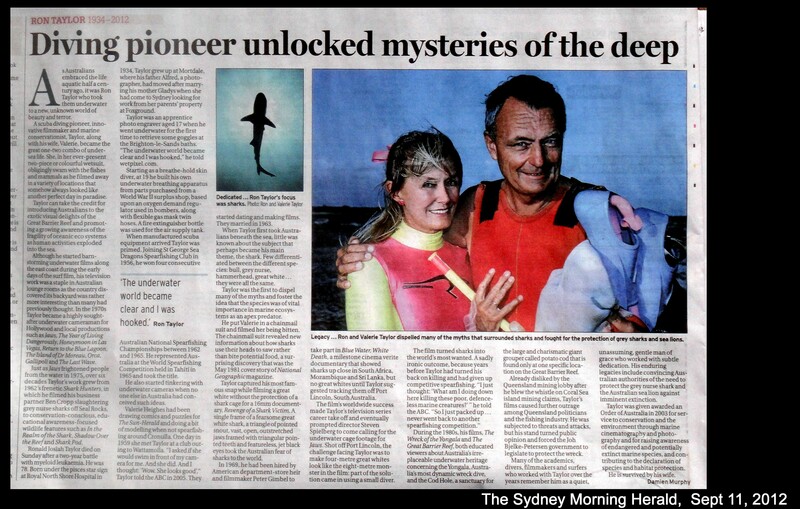 I grew up in Sydney and started Skindiving at age 10, in 1957. By 1960 I had became aware of a Ron and Ben Cropp, they were like ‘Diving Royalty’ back then; Alan Power was a local Spear fisherman in those days and knew them all quiet well, and as a young Boy I often listened to Alan’s tales of their collective exploits. 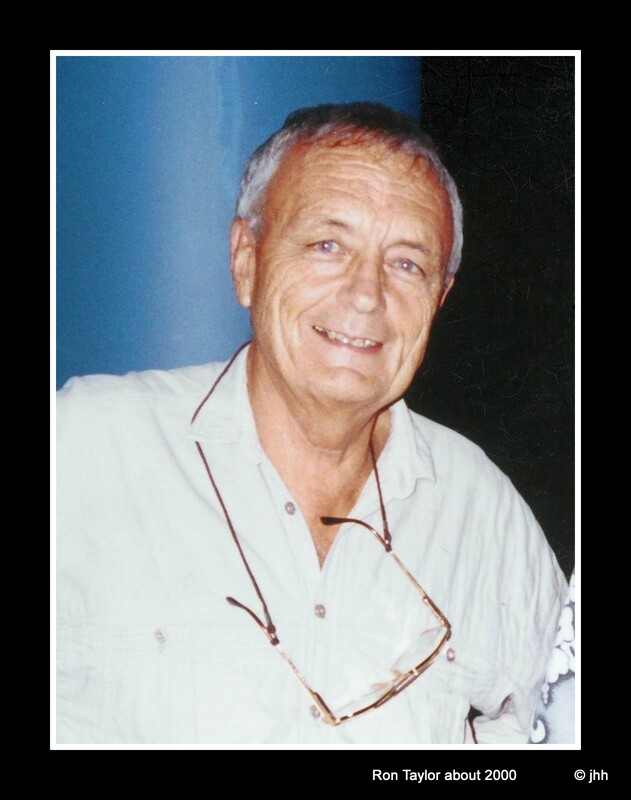 Alan was a friend of my cousin’s and we visited him and his family often, at Neutral Bay. 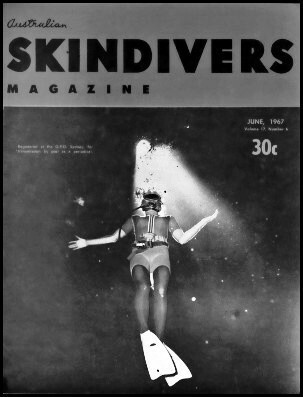 I have been a Professional Diver for most of my life and it has been a pleasure to be a Friend of John Harding whom has keep me informed of the latest adventures of Ron and Val and Ben over the years, it was a shock to hear of Ron’s passing, I feel even at 65 like a little boy when I say that Ron and Val Taylor have always been my inspiration to continue the association with diving, nothing compares with the exhilaration of being an Inner Space Being. 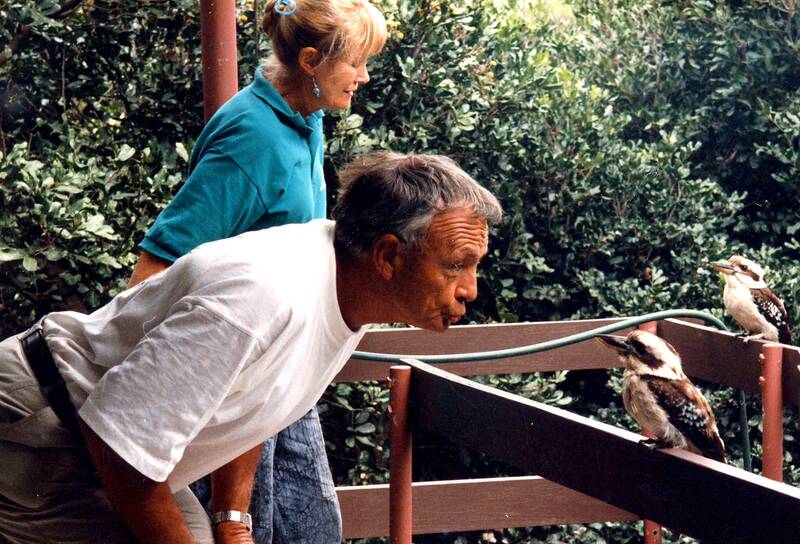 R.I.P Ron you are a true Australian Legend and will be always remembered. 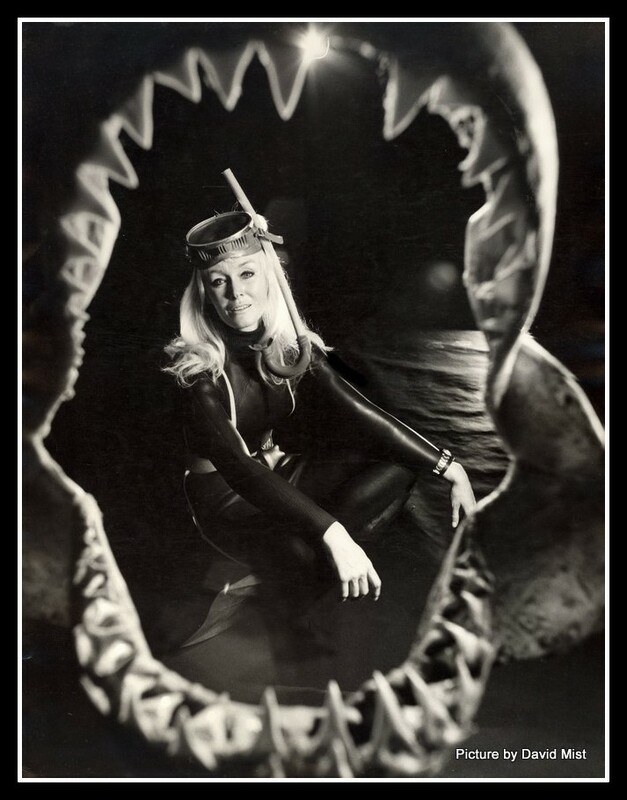 To Valerie, the contribution yourself and Ron have made to the Diving Industry can never be compared with, thank you so very much.